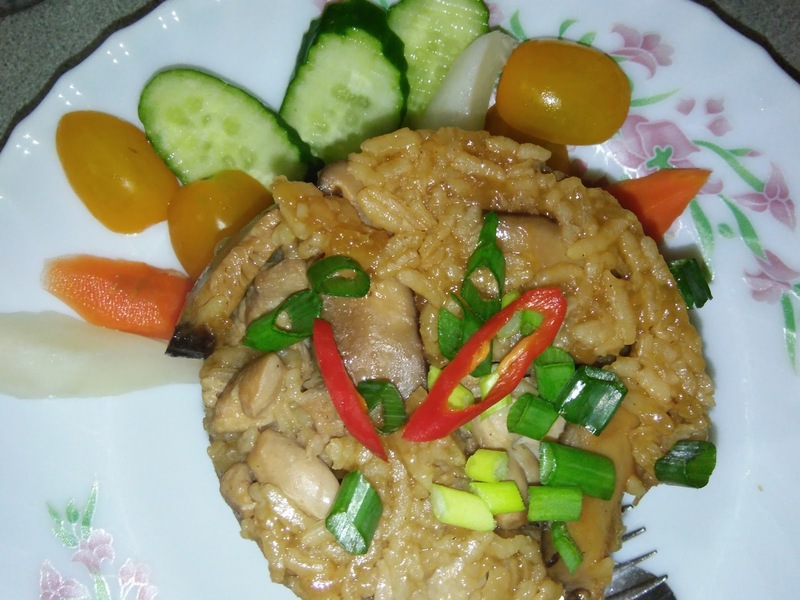 This recipe is adapted from a Lotus Leaf Wrap Chicken Glutinous Rice recipe. 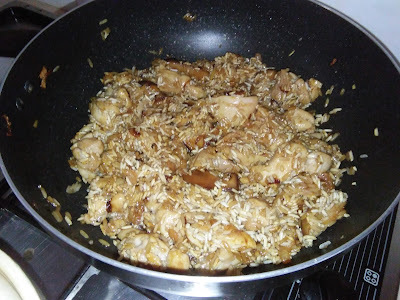 I have modified the recipe by not using lotus leaf and substituting a portion of the glutinous rice with plain rice. 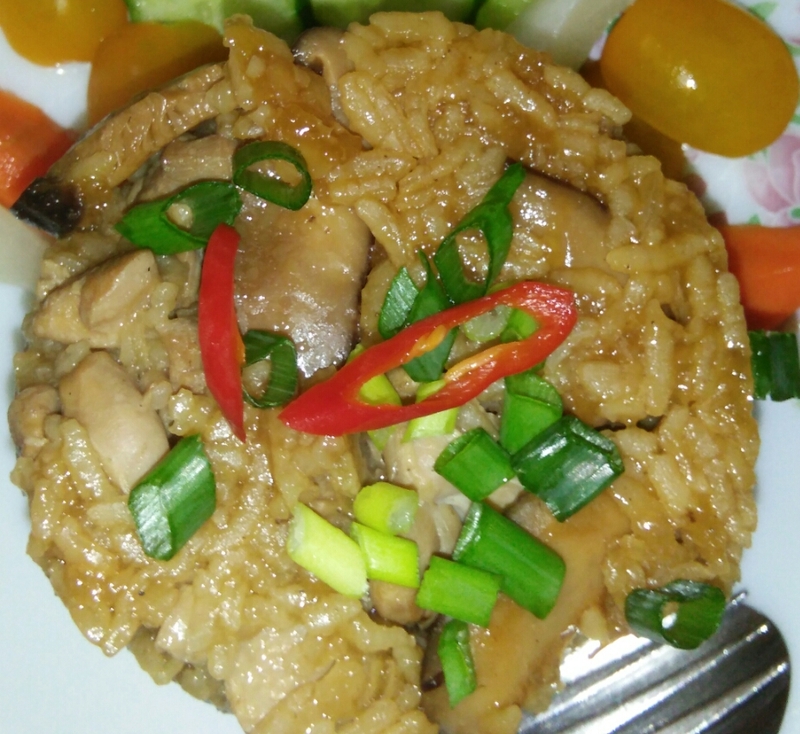 I know there are many people who love to eat rice dumplings but suffer from glutinous rice intolerance. 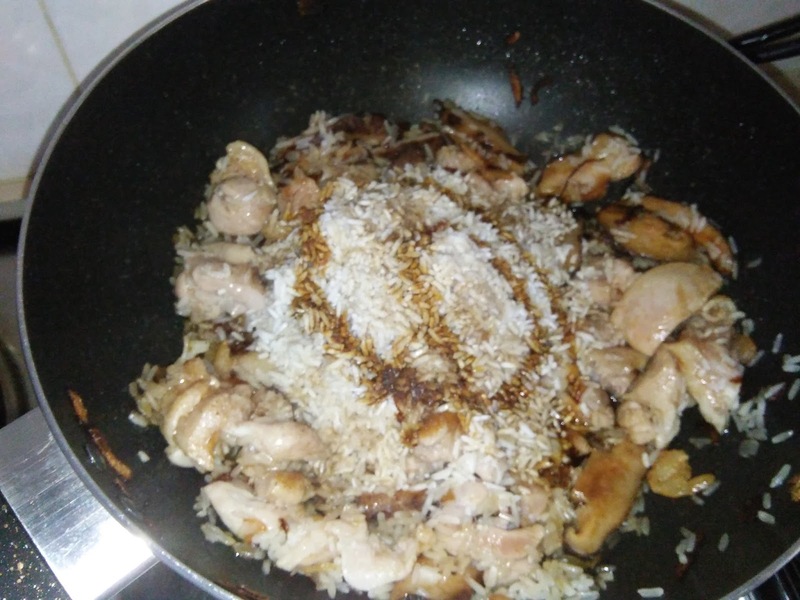 This steamed rice with a small portion of glutinous rice may be suitable for them. 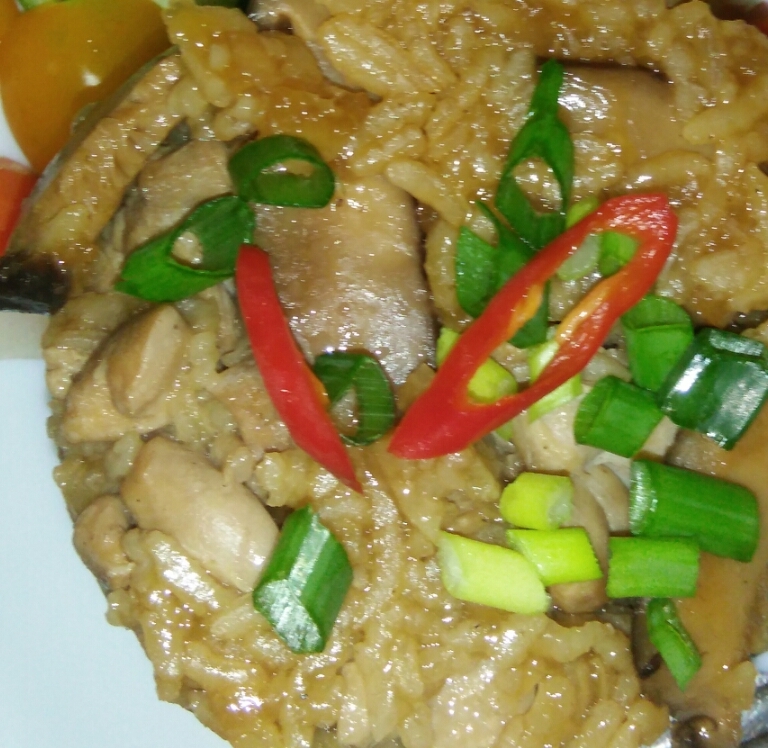 The steamed rice is fragrant, tasty and delicious, suitable as a One Dish Meal. It is perfect to serve this with any vegetable soup or pickled vegetable [cucumber, carrots or cabbage]. Heat 1-2 tbsp oil in a non stick wok, sauté shallots until fragrant and crispy. 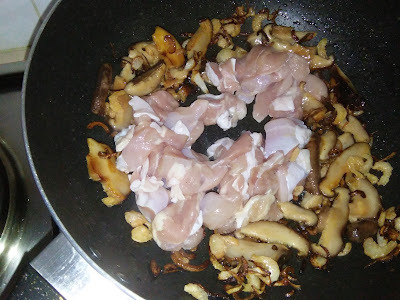 Push aside, sauté dried prawns and mushrooms until fragrant, then add in chicken pieces. Stir fry to mix well. 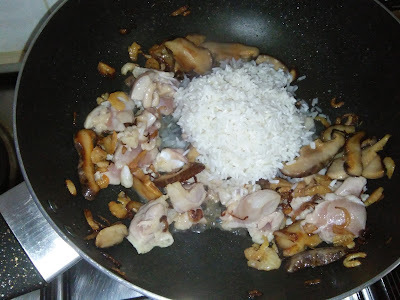 Add in glutinous rice, stir fry until rice turns translucent, then add in plain rice and seasoning. 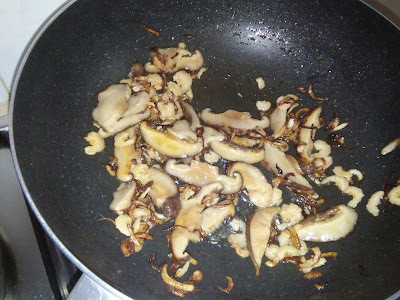 Stir fry to mix well for several minutes. Off heat. 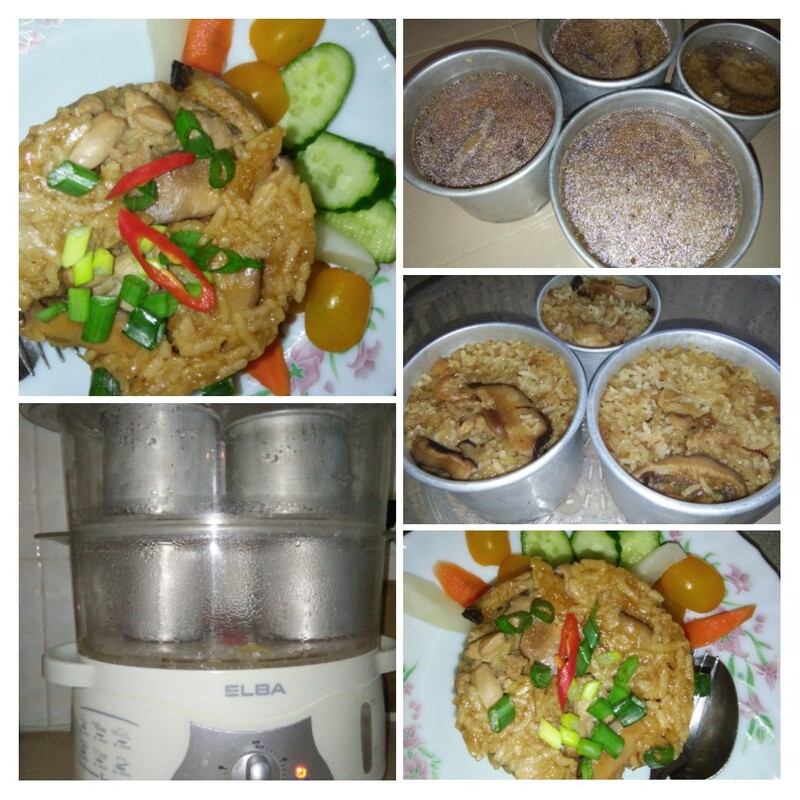 Dish up rice into 3 steaming cans. Add in enough water to cook rice [about less than 1 cm above rice level or depends on quality of rice used]. 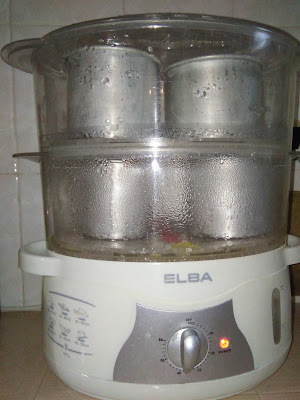 Steam rice for at least 30 minutes or until cooked through. Leave rice for about 5-10 minutes. 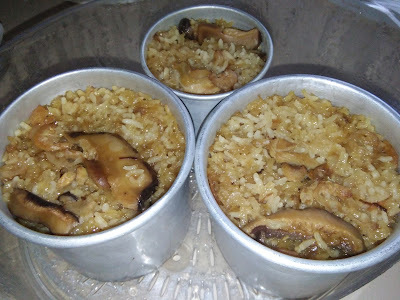 Transfer to a serving plate, invert can to dislodge rice. Serve immediately. Marvelous recipe... I have been hankering for this! 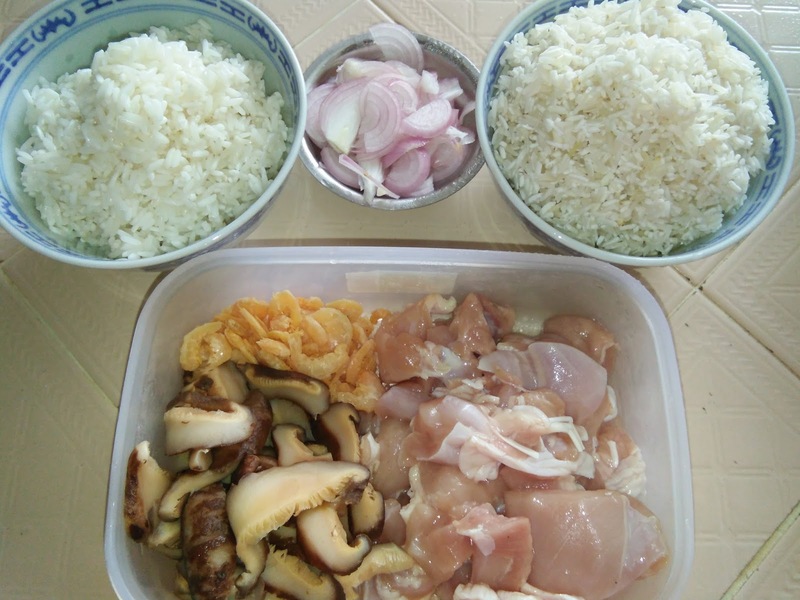 Hi Emily, I love this kind of preparation and serving. No fighting for more or this or that. Each family member has their share. Usually, I prepare this whenever I have leftover fillings from making rice dumplings. Awesome. 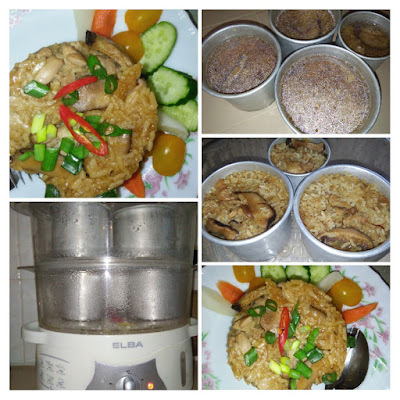 Hi Annie, if you love this kind of rice, please look up my recipes of rice dumplings. 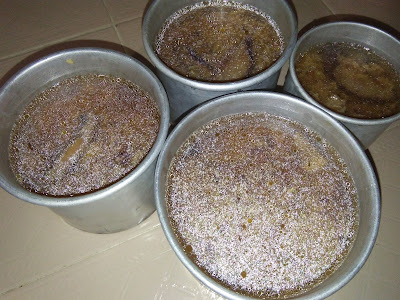 I have posted the recipes earlier and they are very nice. Happy trying.